At Shear Color Printing we are your trusted source for offset and digital printing for over 20 years. Call us to learn more at (781) 933-2441. Whether you need to get an estimate, send a file, or find tips and downloads, our site is here to serve you. 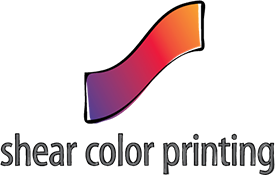 Shear Color Printing is an award winning commercial printing company located in Woburn, MA and serving the Boston area. 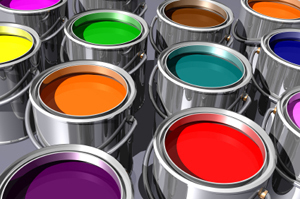 We specialize in short to medium run, high-end printing ranging from one to six color printing. Through our specialization, we are able to offer our clients ultra fast turnarounds at competitive prices. Shear started in 1990 with one press, one cutter and one folder. Over the years, we have grown with many of our clients and now offer a pressroom with four different printing presses, a full bindery and an extensive prepress / design department. Our offset pressroom features 2-6 color presses, printing small one color envelopes all the way up to 19x27 six color posters. Our digital production features two konica color printers - meeting the toughest deadlines. Learn more about our history and company culture. You need your job today? No problem! Our bindery / mailing capabilities make almost any job do-able; cutting, folding, booklet-making - you name it, we'll do it. And whether you need your project shipped or mailed, Shear has the equipment and staff to meet the highest quality standard - yours. Shear Color is also your trusted source for all things marketing; trade show graphics and banners, signage and promotional items. Call today to learn more about how we can provide much more than just expert quality printing! As we have grown, so has our commitment to minimizing our impact on the environment. We have become a green printer because we believe that ecologically minded business practices are essential, and have learned that environmental concerns and business can co-exist and be successful.